Marina Bay Blue Metallic 2019 BMW M5 Competition with Silverstone Full Merino Leather Upholstery equipped with *Navigation / GPS, *All-Wheel Drive / AWD, *Executive Package, *Driver Assistance Plus, *Bowers Wilkins sound system, *Panoramic Sunroof / Moonroof, *Side and Top View Backup Camera, *Heated Front / Rear Seats, *Heated Steering Wheel, *20" Rims, *Adaptive Full LED Lights, *Park Distance Control, *Active Blind Spot Detection, *Lane Departure Warning System, *Head-up Display, *M Sport exhaust system, *Carbon Fiber Rear Diffuser, *Paint Protection Film Level 1, *Wheel Locks, *Apple CarPlay, *Remote Keyless Entry, *Rain Sensing Wipers, *Power Front Seats, *Hands Free Bluetooth and USB Audio Connection, *FREE 36 Months/36,000 Miles Maintenance, and much more!! Call today to set up a test drive at (309) 692-4840. Located at BMW of Peoria in Peoria, IL. 1720 W. Pioneer Parkway. Recent Arrival! Located at BMW of Peoria, 1720 W Pioneer Parkway Peoria, Illinois 61615. We are family-owned, and have been serving Central Illinois since 1963. We have access to virtually every make and model of car, truck, and SUV! CALL TODAY TO SCHEDULE A TEST DRIVE (309) 692-4840. Carbon Black Metallic 2019 BMW X7 xDrive40i equipped with Ivory White/Night Blue Individual Full Merino Leather Upholstery, an *8-Speed Automatic Transmission, *Navigation / GPS, *All-Wheel Drive / AWD, *M Sport Package, *Cold Weather Package, *Driver Assistance Package, *Parking Assistance Package, *Luxury Seating Package, *Harmon Kardon Surround Sound, *Panoramic Sky Lounge LED Roof, *Side and Top View Backup Camera, *Heated Front / Rear Seats, *Cooled / Ventilated Seats, *Heated Steering Wheel, *22" Rims, *Adaptive Full LED Lights, *Park Distance Control, *Active Blind Spot Detection, *Lane Departure Warning System, *Head-up Display, *Active Driving Assistant, *Active Cruise Control, *Connected Package Pro, *Live Cockpit Pro, *Gesture Control, *Apple CarPlay, *Remote Keyless Entry, *Rain Sensing Wipers, *Power Front Seats, *Hands Free Bluetooth and USB Audio Connection, *FREE 36 Months/36,000 Miles Maintenance, and much more!! *See dealer for details. SPEAK TO A CLIENT ADVISOR TODAY ABOUT AVAILABLE INCENTIVES: •BMW Loyalty - $1,250 •College Grad - $1,000 •USAA - up to $1,000 Call today to set up a test drive at (309) 692-4840. Located at BMW of Peoria in Peoria, IL. 1720 W. Pioneer Parkway. Recent Arrival! Located at BMW of Peoria, 1720 W Pioneer Parkway Peoria, Illinois 61615. We are family-owned, and have been serving Central Illinois since 1963. We have access to virtually every make and model of car, truck, and SUV! CALL TODAY TO SCHEDULE A TEST DRIVE (309) 692-4840. Carbon Black Metallic 2019 BMW X5 xDrive50i equipped with Black Individual Extended Merino Leather Upholstery, an 8-Speed Automatic Transmission, a 4.4L V8 DOHC 32V Twin Turbocharged Charged Engine, *Navigation / GPS, *All-Wheel Drive / AWD, *M Sport Package, *Executive Package, *Driver Assistance Package, *Parking Assistance Package, *Luxury Seating Package, *Harmon Kardon Surround Sound, *Panoramic Sunroof / Moonroof, *Side and Top View Backup Camera, *Heated Front / Rear Seats, *Cooled / Ventilated Seats, *Heated Steering Wheel, *22" Rims, *Adaptive Full LED Lights, *Park Distance Control, *Active Blind Spot Detection, *Lane Departure Warning System, *Head-up Display, *Active Driving Assistant, *Active Cruise Control, *Connected Package Pro, *Live Cockpit Pro, *Gesture Control, *Apple CarPlay, *Remote Keyless Entry, *Rain Sensing Wipers, *Power Front Seats, *Hands Free Bluetooth and USB Audio Connection, *FREE 36 Months/36,000 Miles Maintenance, and much more!! *See dealer for details. SPEAK TO A CLIENT ADVISOR TODAY ABOUT AVAILABLE INCENTIVES: •BMW Finance Credit - $2,000 •BMW Conquest - $1,000 •BMW Loyalty - $1,250 •USAA - up to $1,000 •College Grad - $1,000 Call today to set up a test drive at (309) 692-4840. Located at BMW of Peoria in Peoria, IL. 1720 W. Pioneer Parkway. Recent Arrival! Located at BMW of Peoria, 1720 W Pioneer Parkway Peoria, Illinois 61615. We are family-owned, and have been serving Central Illinois since 1963. We have access to virtually every make and model of car, truck, and SUV! CALL TODAY TO SCHEDULE A TEST DRIVE (309) 692-4840. Alpine White 2019 BMW X5 xDrive50i with Tartufo Extended Merino Leather Upholstery equipped with an 8-Speed Automatic Transmission, a 4.4L V8 DOHC 32V Twin Turbocharged Engine, *Navigation / GPS, *All-Wheel Drive / AWD, *M Sport Package, *Executive Package, *Premium Package, *Driver Assistance Plus, *Convenience Package, *Parking Assistance Package, *Luxury Seating Package, *2-axle air suspension, *Laser Lights, *Harmon Kardon Surround Sound, *Leather Dashboard, *Glass Controls, *Panoramic Sunroof / Moonroof, *Side and Top View Backup Camera, *Heated Front / Rear Seats, *Cooled / Ventilated Seats, *Heated Steering Wheel, *20" Rims, *Multi-contour seats, *Park Distance Control, *Active Blind Spot Detection, *Lane Departure Warning System, *Head-up Display, *Active Driving Assistant, *Active Cruise Control, *Connected Package Pro, *Live Cockpit Pro, *Gesture Control, *M Sport Brakes, *Apple CarPlay, *Remote Keyless Entry, *Rain Sensing Wipers, *Power Front Seats, *Trailer Hitch, *Hands Free Bluetooth and USB Audio Connection, *FREE 36 Months/36,000 Miles Maintenance, and much more!! SPEAK TO A CLIENT ADVISOR TODAY ABOUT AVAILABLE INCENTIVES: •BMW Finance Credit - $2,000 •BMW Conquest - $1,000 •BMW Loyalty - $1,250 •USAA - up to $1,000 •College Grad - $1,000 Call today to set up a test drive at (309) 692-4840. Located at BMW of Peoria in Peoria, IL. 1720 W. Pioneer Parkway. Recent Arrival! Located at BMW of Peoria, 1720 W Pioneer Parkway Peoria, Illinois 61615. We are family-owned, and have been serving Central Illinois since 1963. We have access to virtually every make and model of car, truck, and SUV! CALL TODAY TO SCHEDULE A TEST DRIVE (309) 692-4840. Black Sapphire Metallic 2019 BMW M4 Convertible w/ Silverstone Extended Merino Leather Upholstery, equipped w/ a 7-Speed Manual Double-clutch Transmission, a 3.0L I6 Turbocharged DOHC 24V ULEV II engine (444hp), *Navigation / GPS, *Executive Package, *Competition Package, *Harmon Kardon Surround Sound, *Side and Top View Backup Camera, *Heated Seats, *Heated Steering Wheel, *Neck Warmers, *20" Rims, *Adaptive Full LED Lights, *Park Distance Control, *Active Blind Spot Detection, *Lane Departure Warning System, *Head-up Display, *Apple CarPlay, *Remote Keyless Entry, *Rain Sensing Wipers, *Power Front Seats, *Hands Free Bluetooth and USB Audio Connection, *FREE 36 Months/36,000 Miles Maintenance, and much more!! SPEAK TO A CLIENT ADVISOR TODAY ABOUT AVAILABLE INCENTIVES: •Finance Credit - $2,000 •Lease Credit - $2,500 •BMW Loyalty - $2,500 •College Grad - $1,000 •USAA - $250 Call today to set up a test drive at (309) 692-4840. Located at BMW of Peoria in Peoria, IL. 1720 W. Pioneer Parkway. Recent Arrival! Located at BMW of Peoria, 1720 W Pioneer Parkway Peoria, Illinois 61615. We are family-owned, and have been serving Central Illinois since 1963. We have access to virtually every make and model of car, truck, and SUV! CALL TODAY TO SCHEDULE A TEST DRIVE (309) 692-4840. Black Sapphire Metallic 2019 BMW X7 xDrive40i AWD 8-Speed Automatic 3.0L I6 DOHC 24V *Navigation / GPS, *All-Wheel Drive / AWD, *M Sport Package, *Premium Package, *Cold Weather Package, *Parking Assistance Package, *Luxury Seating Package, *Harmon Kardon Surround Sound, *Panoramic Sky Lounge LED Roof, *Side and Top View Backup Camera, *Heated Front / Rear Seats, *Cooled / Ventilated Seats, *Heated Steering Wheel, *21" Rims, *Park Distance Control, *Active Blind Spot Detection, *Lane Departure Warning System, *Head-up Display, *Active Driving Assistant, *Active Cruise Control, *Connected Package Pro, *Live Cockpit Pro, *Apple CarPlay, *Remote Keyless Entry, *Rain Sensing Wipers, *Trailer Hitch, *Hands Free Bluetooth and USB Audio Connection, *FREE 36 Months/36,000 Miles Maintenance, and much more!! *See dealer for details. SPEAK TO A CLIENT ADVISOR TODAY ABOUT AVAILABLE INCENTIVES: •BMW Loyalty - $1,250 •College Grad - $1,000 •USAA - up to $1,000 Call today to set up a test drive at (309) 692-4840. Located at BMW of Peoria in Peoria, IL. 1720 W. Pioneer Parkway. Recent Arrival! Located at BMW of Peoria, 1720 W Pioneer Parkway Peoria, Illinois 61615. We are family-owned, and have been serving Central Illinois since 1963. We have access to virtually every make and model of car, truck, and SUV! CALL TODAY TO SCHEDULE A TEST DRIVE (309) 692-4840. Alpine White 2019 BMW 5 Series 540i xDrive equipped with a 8-Speed Automatic, a 3.0L I6 Turbocharged engine (335hp), *Navigation / GPS, *All-Wheel Drive / AWD, *M Sport Package, *Premium Package, *Driver Assistance Plus, *Harmon Kardon Surround Sound, *Sunroof / Moonroof, *Rear View / Backup Camera, *Heated Front / Rear Seats, *Heated Steering Wheel, *19" Rims, *LED Headlights, *Park Distance Control, *Active Blind Spot Detection, *Lane Departure Warning System, *Head-up Display, *Apple CarPlay, *Remote Keyless Entry, *Rain Sensing Wipers, *Power Front Seats, *Hands Free Bluetooth and USB Audio Connection, *Black Kidney Grilles, *FREE 36 Months/36,000 Miles Maintenance, and much more!! SPEAK TO A CLIENT ADVISOR TODAY ABOUT AVAILABLE INCENTIVES: •Finance Credit - $3,000 •Lease Credit - $1,500 •BMW Loyalty - $2,000 •Conquest - $1,000 •College Grad - $1,000 •USAA - up to $1,000 Call today to set up a test drive at (309) 692-4840. Located at BMW of Peoria in Peoria, IL. 1720 W. Pioneer Parkway. 21/29 City/Highway MPG Located at BMW of Peoria, 1720 W Pioneer Parkway Peoria, Illinois 61615. We are family-owned, and have been serving Central Illinois since 1963. We have access to virtually every make and model of car, truck, and SUV! CALL TODAY TO SCHEDULE A TEST DRIVE (309) 692-4840. New Price! Dark Graphite Metallic 2019 BMW 5 Series 540i xDrive AWD 8-Speed Automatic 3.0L I6 Turbocharged DOHC 24V LEV3-ULEV70 335hp w/ Black Dakota Leather Upholstery. This vehicle is equipped w/ *Navigation / GPS, *All-Wheel Drive / AWD, *M Sport Package, *Premium Package, *Harmon Kardon Surround Sound, *Panoramic Sunroof / Moonroof, *Rear View / Backup Camera, *Heated Front / Rear Seats, *Heated Steering Wheel, *19" Rims, *LED Headlights, *Park Distance Control, *Apple CarPlay, *Remote Keyless Entry, *Rain Sensing Wipers, *Power Front Seats, *Hands Free Bluetooth and USB Audio Connection, *FREE 36 Months/36,000 Miles Maintenance, and much more!! SPEAK TO A CLIENT ADVISOR ABOUT AVAILABLE INCENTIVES: •Finance Credit - $3,000 •Lease Credit - $1,500 •BMW Loyalty - $2,000 •Conquest - $1,000 •College Grad - $1,000 •USAA - up to $1,000 Call today to set up a test drive at (309) 692-4840. Located at BMW of Peoria in Peoria, IL. 1720 W. Pioneer Parkway. Recent Arrival! 21/29 City/Highway MPG Located at BMW of Peoria, 1720 W Pioneer Parkway Peoria, Illinois 61615. We are family-owned, and have been serving Central Illinois since 1963. We have access to virtually every make and model of car, truck, and SUV! CALL TODAY TO SCHEDULE A TEST DRIVE (309) 692-4840. Arctic Gray Metallic 2019 BMW X5 xDrive40i with Coffee Vernasca Leather Upholstery equipped with a 8-Speed Automatic Transmission, a 3.0L I6 DOHC 24V TwinPower Turbo Charged Engine, *Navigation / GPS, *All-Wheel Drive / AWD, *Premium Package, *Convenience Package, *Parking Assistance Package, *Panoramic Sunroof / Moonroof, *Side and Top View Backup Camera, *Heated Front / Rear Seats, *Heated Steering Wheel, *20" Rims, *Multi-contour seats, *LED Headlights, *Park Distance Control, *Active Blind Spot Detection, *Lane Departure Warning System, *Head-up Display, *Active Driving Assistant, *Connected Package Pro, *Live Cockpit Pro, *Gesture Control, *Apple CarPlay, *Remote Keyless Entry, *Rain Sensing Wipers, *Power Front Seats, *Trailer Hitch, *Hands Free Bluetooth and USB Audio Connection, *FREE 36 Months/36,000 Miles Maintenance, and much more!! SPEAK TO A CLIENT ADVISOR TODAY ABOUT AVAILABLE INCENTIVES: •BMW Finance Credit - $2,000 •BMW Conquest - $1,000 •BMW Loyalty - $1,250 •USAA - up to $1,000 •College Grad - $1,000 Call today to set up a test drive at (309) 692-4840. Located at BMW of Peoria in Peoria, IL. 1720 W. Pioneer Parkway. 20/26 City/Highway MPG Located at BMW of Peoria, 1720 W Pioneer Parkway Peoria, Illinois 61615. We are family-owned, and have been serving Central Illinois since 1963. We have access to virtually every make and model of car, truck, and SUV! CALL TODAY TO SCHEDULE A TEST DRIVE (309) 692-4840. Phytonic Blue Metallic 2019 BMW X5 xDrive40i with Cognac Vernasca Leather Upholstery equipped with an 8-Speed Automatic Transmission, a 3.0L I6 DOHC 24V TwinPower Turbo Charged Engine, *Navigation / GPS, *All-Wheel Drive / AWD, *Premium Package, *Convenience Package, *Parking Assistance Package, *Panoramic Sunroof / Moonroof, *Side and Top View Backup Camera, *Remote Start, *Heated Front / Rear Seats, *Heated Steering Wheel, *20" Rims, *Adaptive Full LED Lights, *Park Distance Control, *Active Blind Spot Detection, *Lane Departure Warning System, *Head-up Display, *Active Driving Assistant, *Connected Package Pro, *Live Cockpit Pro, *Gesture Control, *Apple CarPlay, *Remote Keyless Entry, *Rain Sensing Wipers, *Power Front Seats, *Trailer Hitch, *Hands Free Bluetooth and USB Audio Connection, *FREE 36 Months/36,000 Miles Maintenance, and much more!! SPEAK TO A CLIENT ADVISOR TODAY ABOUT AVAILABLE INCENTIVES: •BMW Finance Credit - $2,000 •BMW Conquest - $1,000 •BMW Loyalty - $1,250 •USAA - up to $1,000 •College Grad - $1,000 Call today to set up a test drive at (309) 692-4840. Located at BMW of Peoria in Peoria, IL. 1720 W. Pioneer Parkway. Recent Arrival! 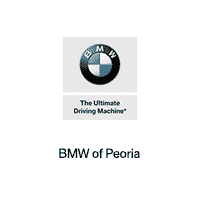 20/26 City/Highway MPG Located at BMW of Peoria, 1720 W Pioneer Parkway Peoria, Illinois 61615. We are family-owned, and have been serving Central Illinois since 1963. We have access to virtually every make and model of car, truck, and SUV! CALL TODAY TO SCHEDULE A TEST DRIVE (309) 692-4840. New Price! Black Sapphire Metallic 2019 BMW X3 M40i with Black Vernasca Leather Upholstery equipped w/ *All-Wheel Drive, *Navigation / GPS, *Executive Package, *Premium Package, *Driver Assistance Package, *Driver Assistance Plus, *Heated / Cooled Seats, *Panoramic Sunroof / Moonroof, *Heated Steering Wheel, *Rear View Camera, *Head-up Display, *Active Cruise Control, *Harmon Kardon Surround Sound, *Apple CarPlay, *Park Distance Control, *21" Rims, *Adaptive Full LED Lights, *FREE 36 Months/36,000 Miles Maintenance, *Hands Free Bluetooth and USB Audio Connection, *Power Front Seats, *Rain Sensing Wipers, *Remote Keyless Entry, and much more!! SPEAK TO A CLIENT ADVISOR TODAY ABOUT AVAILABLE INCENTIVES: •BMW Finance Credit - $2,500 •BMW Lease Credit - $500 •BMW Conquest - $1,000 •BMW Loyalty - $1,250 •USAA - up to $1,000 •College Grad - $1,000 Call today to set up a test drive at (309) 692-4840. Located at BMW of Peoria in Peoria, IL. 1720 W. Pioneer Parkway. Recent Arrival! 27/20 Highway/City MPG Located at BMW of Peoria, 1720 W Pioneer Parkway Peoria, Illinois 61615. We are family-owned, and have been serving Central Illinois since 1963. We have access to virtually every make and model of car, truck, and SUV! CALL TODAY TO SCHEDULE A TEST DRIVE (309) 692-4840. New Price! Black Sapphire Metallic 2019 BMW 5 Series 530i xDrive with Black Nappa Leather Upholstery equipped w/ an 8-Speed Automatic Transmission, a 2.0L 4-Cylinder TwinPower Turbo Charged Engine, *Navigation / GPS, *All-Wheel Drive / AWD, *Premium Package, *Convenience Package, *Parking Assistance Package, *Harmon Kardon Surround Sound, *Panoramic Sunroof / Moonroof, *Rear View / Backup Camera, *Heated Front / Rear Seats, *Heated Steering Wheel, *19" Rims, *LED Headlights, *Park Distance Control, *Head-up Display, *Apple CarPlay, *Black Kidney Grilles, *Paint Protection Film Level 1, *Wheel Locks,*Remote Keyless Entry, *Rain Sensing Wipers, *Power Front Seats, *Hands Free Bluetooth and USB Audio Connection, *FREE 36 Months/36,000 Miles Maintenance, and much more!! SPEAK TO A CLIENT ADVISOR TODAY ABOUT AVAILABLE INCENTIVES: •Finance Credit - $3,000 •Lease Credit - $750 •BMW Loyalty - $2,000 •Conquest - $1,000 •College Grad - $1,000 •USAA - up to $1,000 Call today to set up a test drive at (309) 692-4840. Located at BMW of Peoria in Peoria, IL. 1720 W. Pioneer Parkway. Recent Arrival! 23/33 City/Highway MPG Located at BMW of Peoria, 1720 W Pioneer Parkway Peoria, Illinois 61615. We are family-owned, and have been serving Central Illinois since 1963. We have access to virtually every make and model of car, truck, and SUV! CALL TODAY TO SCHEDULE A TEST DRIVE (309) 692-4840. Mineral White Metallic 2019 BMW 5 Series 530i xDrive with Canberra Beige Dakota Leather Upholstery equipped with a 8-Speed Automatic Transmission, *Navigation / GPS, *All-Wheel Drive / AWD, *Premium Package, *Driver Assistance Plus, *Convenience Package, *Parking Assistance Package, *Panoramic Sunroof / Moonroof, *Side and Top View Backup Camera, *Heated Front / Rear Seats, *Heated Steering Wheel, *19" Rims, *Multi-contour seats, *LED Headlights, *Park Distance Control, *Active Blind Spot Detection, *Lane Departure Warning System, *Head-up Display, *Apple CarPlay, *Remote Keyless Entry, *Rain Sensing Wipers, *Power Front Seats, *Hands Free Bluetooth and USB Audio Connection, *FREE 36 Months/36,000 Miles Maintenance, and much more!! SPEAK TO A CLIENT ADVISOR TODAY ABOUT AVAILABLE INCENTIVES: •Finance Credit - $3,000 •Lease Credit - $750 •BMW Loyalty - $2,000 •Conquest - $1,000 •College Grad - $1,000 •USAA - up to $1,000 Call today to set up a test drive at (309) 692-4840. Located at BMW of Peoria in Peoria, IL. 1720 W. Pioneer Parkway. Recent Arrival! 23/33 City/Highway MPG Located at BMW of Peoria, 1720 W Pioneer Parkway Peoria, Illinois 61615. We are family-owned, and have been serving Central Illinois since 1963. We have access to virtually every make and model of car, truck, and SUV! CALL TODAY TO SCHEDULE A TEST DRIVE (309) 692-4840. Dark Graphite Metallic 2019 BMW 5 Series 530i xDrive with Black Dakota Leather Upholstery equipped with an 8-Speed Automatic Transmission, *Navigation / GPS, *All-Wheel Drive / AWD, *Premium Package, *Convenience Package, *Parking Assistance Package, *Harmon Kardon Surround Sound, *Sunroof / Moonroof, *Side and Top View Backup Camera, *Heated Front / Rear Seats, *Heated Steering Wheel, *19" Rims, *Multi-contour seats, *LED Headlights, *Park Distance Control, *Active Blind Spot Detection, *Lane Departure Warning System, *Head-up Display, *Apple CarPlay, *Remote Keyless Entry, *Rain Sensing Wipers, *Power Front Seats, *Hands Free Bluetooth and USB Audio Connection, *FREE 36 Months/36,000 Miles Maintenance, and much more!! SPEAK TO A CLIENT ADVISOR TODAY ABOUT AVAILABLE INCENTIVES: •Finance Credit - $3,000 •Lease Credit - $750 •BMW Loyalty - $2,000 •Conquest - $1,000 •College Grad - $1,000 •USAA - up to $1,000 Call today to set up a test drive at (309) 692-4840. Located at BMW of Peoria in Peoria, IL. 1720 W. Pioneer Parkway. Recent Arrival! 23/33 City/Highway MPG Located at BMW of Peoria, 1720 W Pioneer Parkway Peoria, Illinois 61615. We are family-owned, and have been serving Central Illinois since 1963. We have access to virtually every make and model of car, truck, and SUV! CALL TODAY TO SCHEDULE A TEST DRIVE (309) 692-4840. New Price! Dark Graphite Metallic 2019 BMW X3 M40i w/ Black w/Blue Contrast Stitching/Piping Vernasca Leather Upholstery. Equipped w/ *All-Wheel Drive, *Navigation / GPS, *Premium Package, *Driver Assistance Package, *Leather, *Front / Rear Heated Seats, *Panoramic Sunroof / Moonroof, *Heated Steering Wheel, *Rear View Camera, *Head-up Display, *Harmon Kardon Surround Sound, *Trailer Hitch, *Apple CarPlay, *Park Distance Control, *19" Rims, *Adaptive Full LED Lights, *FREE 36 Months/36,000 Miles Maintenance, *Hands Free Bluetooth and USB Audio Connection, *Power Front Seats, *Rain Sensing Wipers, *Remote Keyless Entry, and much more!! SPEAK TO A CLIENT ADVISOR TODAY ABOUT AVAILABLE INCENTIVES: •BMW Finance Credit - $2,500 •BMW Lease Credit - $500 •BMW Conquest - $1,000 •BMW Loyalty - $1,250 •USAA - up to $1,000 •College Grad - $1,000 Call today to set up a test drive at (309) 692-4840. Located at BMW of Peoria in Peoria, IL. 1720 W. Pioneer Parkway. Recent Arrival! 27/20 Highway/City MPG Located at BMW of Peoria, 1720 W Pioneer Parkway Peoria, Illinois 61615. We are family-owned, and have been serving Central Illinois since 1963. We have access to virtually every make and model of car, truck, and SUV! CALL TODAY TO SCHEDULE A TEST DRIVE (309) 692-4840. Snapper Rocks Blue Metallic 2019 BMW 4 Series 430i xDrive w/ Ivory White Dakota Leather Upholstery equipped w/ *All-Wheel Drive, *Navigation / GPS, *Convenience Package, *Heated Seats, *Heated Steering Wheel, *Rear View Camera, *Head-up Display, *Harmon Kardon Surround Sound, *Apple CarPlay, *19" Rims, *Park Distance Control, *Neck Warmers, *Luxury Package, *FREE 36 Months/36,000 Miles Maintenance, *Hands Free Bluetooth and USB Audio Connection, *Power Front Seats, *Rain Sensing Wipers, *Remote Keyless Entry, *LED Door Projector, *Wheel Locks, and much more!! SPEAK TO A CLIENT ADVISOR TODAY ABOUT AVAILABLE INCENTIVES: •Finance Credit - $2,000 •Lease Credit - $2,500 •BMW Loyalty - $2,500 •College Grad - $1,000 •USAA - $250 Call today to set up a test drive at (309) 692-4840. Located at BMW of Peoria in Peoria, IL. 1720 W. Pioneer Parkway. Recent Arrival! 32/22 Highway/City MPG Located at BMW of Peoria, 1720 W Pioneer Parkway Peoria, Illinois 61615. We are family-owned, and have been serving Central Illinois since 1963. We have access to virtually every make and model of car, truck, and SUV! CALL TODAY TO SCHEDULE A TEST DRIVE (309) 692-4840. San Francisco Red Metallic 2019 BMW Z4 sDrive30i RWD 8-Speed Automatic Sport 2.0L 4-Cylinder 16V equipped with Ivory White Vernasca Leather Seat Upholstery, *Navigation / GPS, *M Sport Package, *Executive Package, *Premium Package, *Harmon Kardon Surround Sound, *Rear View / Backup Camera, *Heated Seats, *Heated Steering Wheel, *19" Rims, *LED Headlights, *Park Distance Control, *Active Blind Spot Detection, *Lane Departure Warning System, *Head-up Display, *Connected Package Pro, *Live Cockpit Pro, *Apple CarPlay, *Hands Free Bluetooth and USB Audio Connection, *FREE 36 Months/36,000 Miles Maintenance, and much more!! *See dealer for details. Call today to set up a test drive at (309) 692-4840. Located at BMW of Peoria in Peoria, IL. 1720 W. Pioneer Parkway. 25/32 City/Highway MPG Located at BMW of Peoria, 1720 W Pioneer Parkway Peoria, Illinois 61615. We are family-owned, and have been serving Central Illinois since 1963. We have access to virtually every make and model of car, truck, and SUV! CALL TODAY TO SCHEDULE A TEST DRIVE (309) 692-4840. Car shopping in the Pekin area? The new vehicle inventory at BMW of Peoria has plenty to offer, from the popular X3 and X5 crossovers to the 3 Series and 5 Series sedans. When you’re ready to elevate your Dunlap drive, a BMW is the way to go, delivering on power, elegance, and style with performance-focused engines and premium leather seats. Now that you’ve seen some of our new BMW, find one you like that will let you turn heads around %%arget_city_3%%. Why Choose a New BMW from BMW of Peoria? Our sales team is standing by to put you behind the wheel of a new BMW, and our finance professionals will help you find a way to fit that new car right into your budget. Contact us today to get the process started.